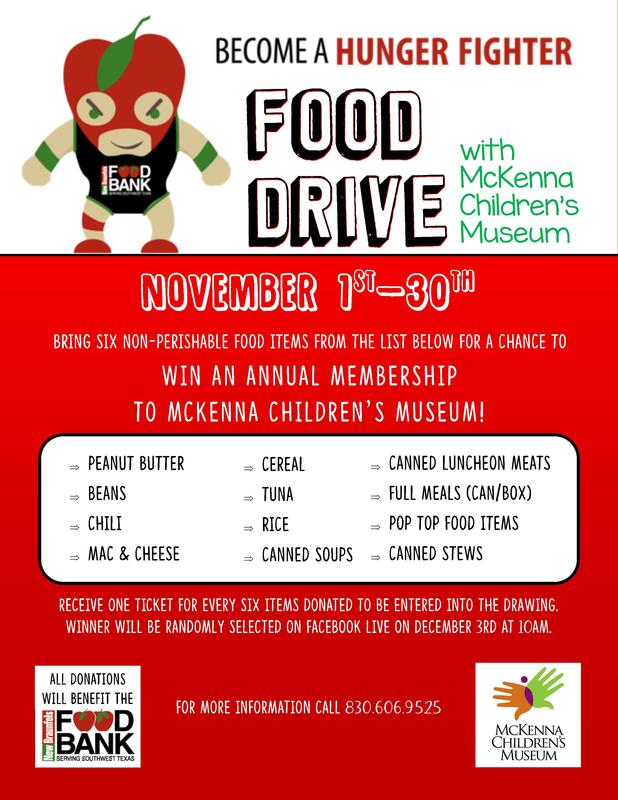 Become a Hunger Fighter with McKenna Children’s Museums Food Drive! Bring six non-perishable food items from the list for a chance to with an annual membership to McKenna Children’s Museum! Receive one ticket for every six items donated to be entered into the drawing. Winner will be randomly selected on Facebook Live in December 3rd and 10am.